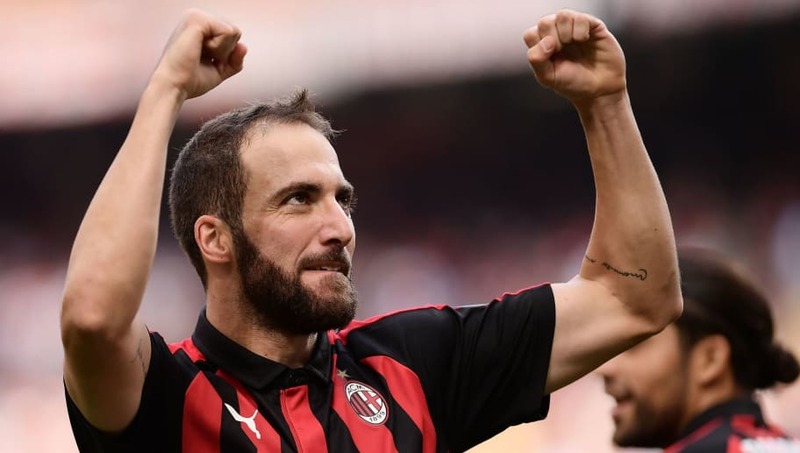 Juventus' Gonzalo Higuaín is believed to have touched down at Farnborough airport in a private jet, ahead of completing a medical and joining Chelsea on loan. The powerful forward has been on loan at AC Milan since the beginning of the 2018/19 campaign, but is now cutting short his deal to join the Blues. The deal is likely to trigger a domino effect, with Álvaro Morata poised to join Atlético Madrid on loan, and Genoa's Krzysztof Piątek sealing a permanent switch to I Rossoneri. Italian outlet ​Calcio Mercato confirmed the 31-year-old was given clearance to make the flight to London, but there is uncertainty over whether the striker will undergo his medical today or tomorrow. Ideally, the ​Blues would like to have Higuaín ready to face ​Spurs on Thursday, but that would require the deal to be concluded by 12pm today. Higuaín is now ​believed to have arrived n London, and could be rushed to the club's training ground to conclude the deal. #Higuain landed at Farnborough airport just under an hour ago. As long as traffic is okay, it only takes around 30-35 minutes from there to get to #cfc training ground. More likely, perhaps, is that Chelsea won't look to rush the deal, and will instead take their time as oppose to rushing the player straight into tomorrow's Carabao Cup second leg. The Blues may opt to start Olivier Giroud, or continue with club talisman ​Eden Hazard in the false nine role instead. In other news, ​Liverpool have emerged as shock contenders to sign Chelsea starlet Callum Hudson-Odoi. The Red reportedly met with the players representatives in a bid to hijack ​Bayern Munich's move for the teenage sensation. It is unclear whether Liverpool would match the Bavarian's £35m offer, or whether the Blues would consider selling to a divisional rival.